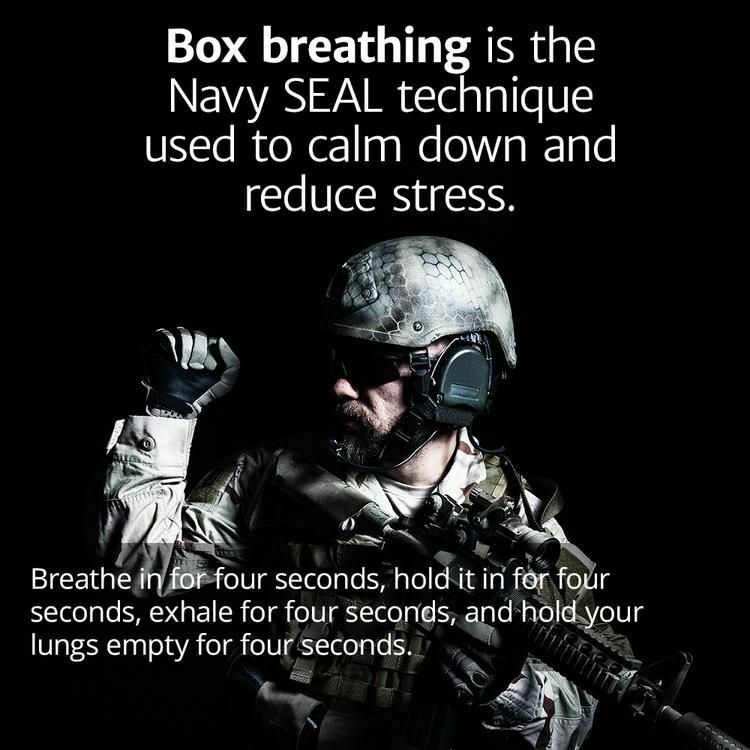 Navy Seals train hard and not just on their bodies but on their minds too. They have to be able to stay calm in the most frightening of situations. What if we could learn to do it to so that we can better handle our emotions and our busy over active minds. Well with practice we can and it is all down to our breathing. When we are frightened or angry our breathing naturally becomes more rapid and shallow which causes fight or flight response and the more we do this the more we are likely to develop chronic illnesses brought on by this stress response. Practice anywhere and throughout the day as often as you like or just before you know you are going to feel nervous and this will help to calm you down.